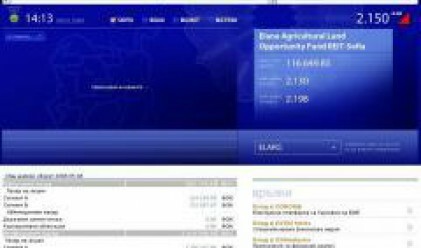 Trading via the new Xetra platform will kick off on the Bulgarian Stock Exchange (BSE) on June 16, 2008, it emerged at today's meeting that took place under the heading “2007- year of success, 2008 year of change”. The trading fees will not be revised 18 months after the trade through the Xetra platform starts. The only option that has been considered so far is for their reduction, but it is still early to discuss it, Viktor Papazov, chairman of the board of directors of BSE, said. BSE signed a framework agreement with Deutsche Boerse on October 30, 2007 for the implementation of the Xetra trading platform of the German stock exchange. Deutsche Boerse will organize the trade and will take the technological control over its implementation, under the agreement. BSE will host “The Prospects for Capital Markets in Southeast Europe” conference, scheduled to take place on September 16, 2008. The main topics that will be discussed are the challenges that stock exchanges from Southeast Europe must face in a globalizing industry, the opportunities for attracting foreign capital and the benefits from consolidating the markets in Southeast Europe. The conference will be attended by representatives of European stock exchanges and of leading investment funds and institutional investors. BSE will introduce its new logo and will also launch a new website with improved functionality within the next two weeks. A new meeting on the launch of trade in derivative instruments may be expected in December 2008 at the earliest.